While it has been amazing over the last few years to report on the myriad of new Handpan-makers bursting out onto the scene, and the stream of new accessories, and other related innovations that have gone hand-in-hand with that. The flip-side of the symbiotic relationship that sits at the core of Planet-Handpan, is the music-makers themselves - those who take these UFO-shaped steel tools, and release for all to hear, the choir of Angels tethered inside of them. And as the world of Handpan music increasingly becomes a veritable buffet of intriguing flavours and exotic spices, one delicacy that certainly should not be overlooked, is to eat your Guru. 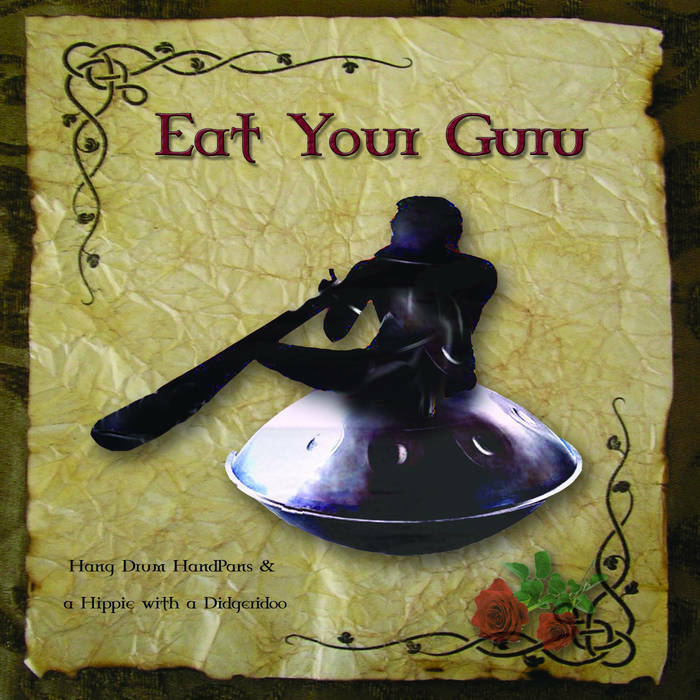 Or rather, “Eat Your Guru”, the experimental Handpan/didgeridoo-centric electro music project of seasoned Handpan-musician, Andy Duroe. Who has not only been around since the early days of Hang, selling thousands of albums, and with over twenty-five years as a performing street artist under his belt. He has also recently been nominated for the 2017 “Just Plain Folks Music Awards” (the world's largest independent music awards).